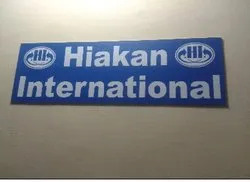 Inaugurated in the year 2011, we, “Hiakan International”, headquartered in Delhi, the proud capital of India, has a Humane element of social responsibility inscribed in its' values and its' concern for the humanity beyond its' business motives. Alleviation of the sufferings of mankind, availability of the medicines to all at affordable price and continued efforts to improve the quality of the medicines, are our values and mission. The company's principal activity is manufacturing of Pharmaceutical products for multiple therapeutic fields. Company operates in total compliance with the GMP norms laid down the W.H.O., Customer satisfaction has always drawn CPL strategies and attitudes. From the very beginning the company has committed itself to supplying consumers with effective medicaments, combining, quality, efficiency, safety and affordable prices. We have a strong position in the market due to our sound and rock solid infrastructural base. Apart from this, our infrastructure is divided into various units so that the entire work is organized efficiently without any unnecessarily obstructions. Each unit functions in close-collaboration with each other. Additionally, we are backed by highly skilled and adroit team of professionals, who have immense expertise in their concerned field. By utilizing their knowledge and dedication, we have reached the strong position in the national and international market. Our professionals work in close harmony with each other to meet their varied requirements in the most precise manner. Besides this, different training sessions and learning programs are conducted by us on a regular basis to enhance the knowledge base of our team members. The Company is driven by its vision to achieve significant business growth in prescription products and branded generics. It aspires to be a significant global player in health care. In order to understand the current market scenario and to improve the quality of the products by implementing sophisticated technology, we have constructed fully active R&D department. This unit is equipped with advanced equipment that is operated by our efficient workforce to execute faster and effective mode of production. Our team of research professionals keep ourselves a step ahead with the dynamics of the industry and increases the production rate. Moreover, with the help of our state-of-the-art laboratories, we constantly attempt to improve quality. Our business ethics, quality and highly qualified & dedicated team. 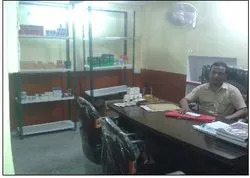 The base of our success is quality and it is reflected in the consistency with which we offer in Surgical Items, Allopathic medicines and Unani Herbal Medicines. This is assured through stringent quality checks under the smart administration of our qualified quality personnel. Ever since the time of our integration, we strive hard to provide the highest level of contentment to our customers in the best possible manner. We make our level best to exceed the expectations of the patrons by catering and fulfilling all their requirements. Our customers experience an optimum level of contentment as we facilitate ease in all sectors like easy transaction mode, on-time delivery and proper transportation mode. To assure ourselves that whether the customers are satisfied or not, we take their proper feedback. We follow ethical business policies and crystal clear dealings by which we are able to garner huge base of customers all across the nation. Our vast industry experience collaborated with high-tech exporting process enable us to offer a qualitative array of unani medicines to our clients.